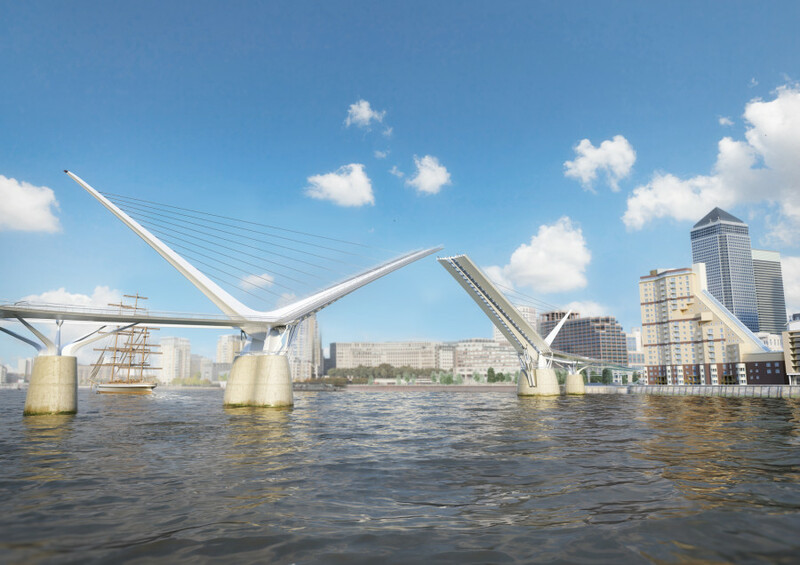 reForm has worked closely with engineer’s Elliott Wood Partnership to develop Nik Randall’s concept for a unique form of bascule bridge, between Rotherhithe and Canary Wharf. Having received an overwhelmingly positive response so far, including approval from the Port of London Authority to now test the 3D model on the Port of London’s River Thames simulator, the next stage is to develop the registered design further for those trials and for Pre-Application meetings with both Southwark and Tower Hamlet Councils. This will be a major milestone in ‘de-risking’ the project and is one we are confident we can achieve within a few months, but we now need private backing. 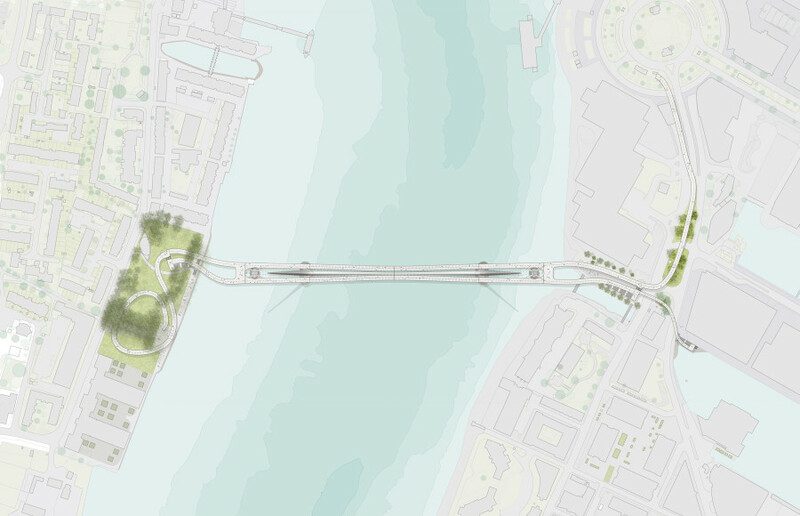 The instigation of the design concept and much of its development has been self-funded by reForm Architects and Elliott Wood Partnership, due to their belief that their innovative design resolves the complex technical and safety issues associated with an opening crossing at this point on the Thames in an elegant and appropriate way. Those interested in providing financial backing for this design should contact reForm Architects. Watch Nik Randall and Gary Elliott’s full interview for London Live below.